#AlmostHeaven: Show your love for West Virginia! 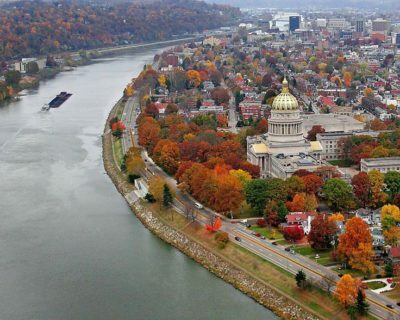 Home|News|#AlmostHeaven: Show your love for West Virginia! The state Division of Tourism is launching a new campaign that encourages people to show what they love about West Virginia by posting a photo to social media with the hashtag #AlmostHeaven. “No matter which corner of the state you’re in, what you’re doing or where you are, the state is just absolutely beautiful,” she said. The campaign is scheduled to launch Tuesday and last through June 20th, which is West Virginia’s 154th birthday. Every day for the next two weeks leading up to the birthday, the Division of Tourism will post — on Facebook, Twitter and Instagram — a reason the Mountain State is a great place to live. Ruby said it’s a great way to promote tourism in the state. She said West Virginia gets a bad image from people who don’t live in the state. “People who are out there saying negative things about West Virginia — a lot of them have never even been to the state, so if we can get everybody in the state posting pictures, telling all the great things about the state and really educating people about all the things we have to offer, I think we can take a large step in improving that image,” Ruby said. Last year, 52 percent of West Virginia travelers said they booked a trip here because of a post they saw on social media, Ruby said. “If we tell our story and we promote ourselves as a world class destination, we have the potential to drastically multiple the affects of our advertising,” she said. The Division of Tourism will be giving away West Virginia vacations for the two best posts each day. The person with the most and best #AlmostHeaven posts by June 20th will be featured in an online video. To get involved, use #AlmostHeaven and visit GoToWV.com/AlmostHeaven to see photos.